Find the info and resources you need to help moms meet their breastfeeding goals. 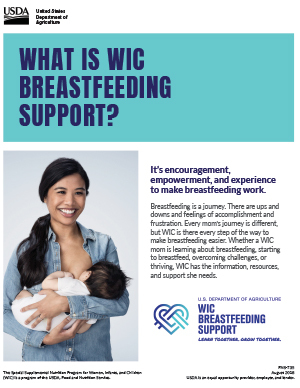 In this section, you will find an overview of WIC Breastfeeding Support as well as resources you can download, print, and share with moms to help them learn about breastfeeding, start breastfeeding, overcome common challenges, and thrive with breastfeeding. Additional staff breastfeeding resources, such as the Grow and Glow in WIC, can be found on the WIC Works Resource System. 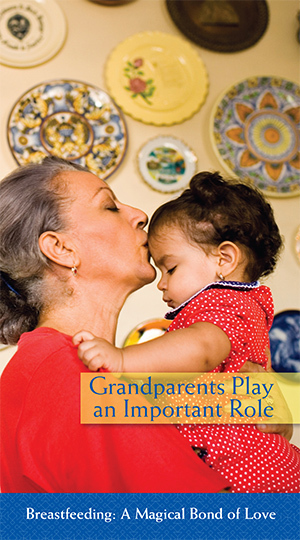 Use this overview to help moms and other key audiences learn about the campaign. 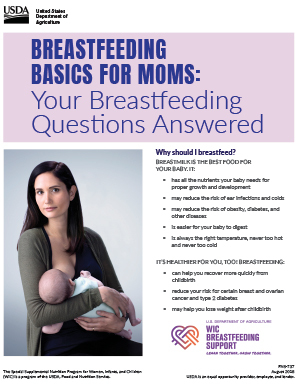 Help moms learn the breastfeeding basics, such as the benefits, how often to breastfeed, how to know if baby is getting enough, and more. Help moms on their breastfeeding journey by sharing these tips as they learn to breastfeed, start breastfeeding, overcome common challenges, and thrive with breastfeeding. 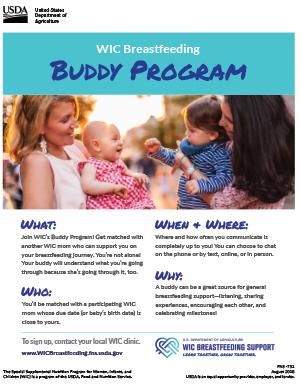 Use these materials to promote and implement the Buddy Program, which pairs moms with similar due dates or whose babies are born around the same date so they can provide support to each other. Share information with moms about WIC peer counselors, including what a peer counselor does and how she can help. 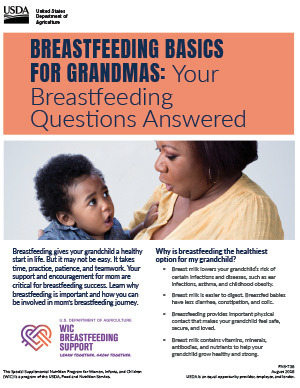 Hang these posters in your clinic or around your community to promote WIC Breastfeeding Support. 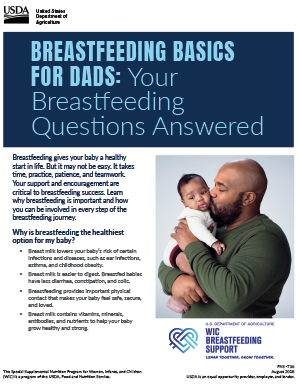 Help dads learn the basics of breastfeeding, including why it’s important and how to support mom. Share this with grandmas so they can help support mom in her breastfeeding journey. Share these culturally appropriate materials to communicate with Hispanic participants about the benefits of breastfeeding. 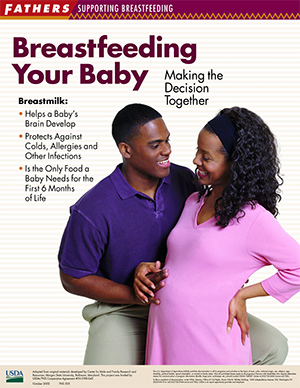 Use these resources to increase breastfeeding initiation and duration rates among African American women by involving fathers in breastfeeding promotion efforts.